In 2015, the College introduced a 1:1 laptop program for students in Years 7 and 10. This program now is being offered to all students. This program provides every student access to his or her own notebook computer. The laptops are used in a wireless environment at the College, allowing teachers to integrate technology into their curriculum. This fosters personalised learning, allowing students to progress at their own pace and ability levels, and increase independence and self-initiated learning. The 1:1 laptop program aims to motivate students to learn by immersing them in the digital tools that they are familiar with in their everyday life, and develop their skills to better prepare them for an ever-evolving world. Rosebud Secondary College completed in-depth research to provide its students with what they consider the best range of devices to satisfy not only learning needs but also financial needs. 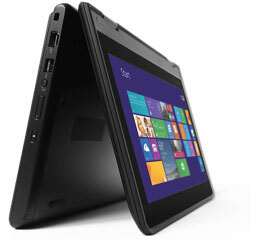 The recommended device is a Lenovo 11e Yoga Convertible Notebook. The Lenovo Yoga 11e Notebook gives students a notebook that can work in four different configurations including a touchscreen tablet mode. 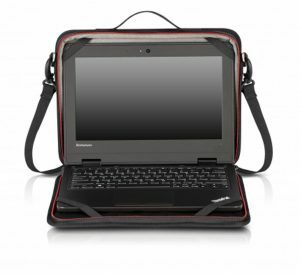 There is also the option to purchase either a base model device (Lenovo 11e Standard) or a device more orientated to multi-media work (Lenovo 11e Yoga Convertible Notebook with active stylus) for students in senior school completing a subject that requires this type of machine. All devices are purchased through our technology partner Edunet, based in Mornington. There is a 12 month interest free option available through zipMoney. Please see Publications for more detailed information including the 1:1 Handbook.